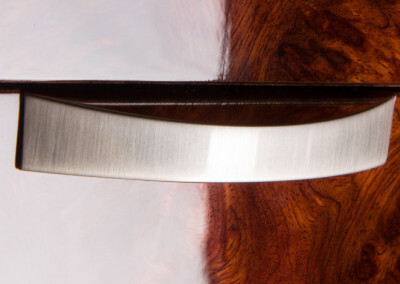 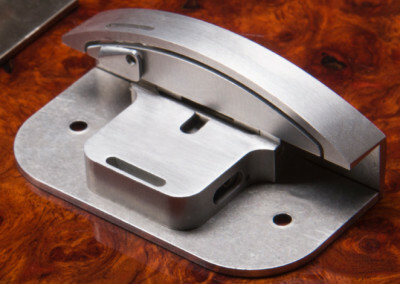 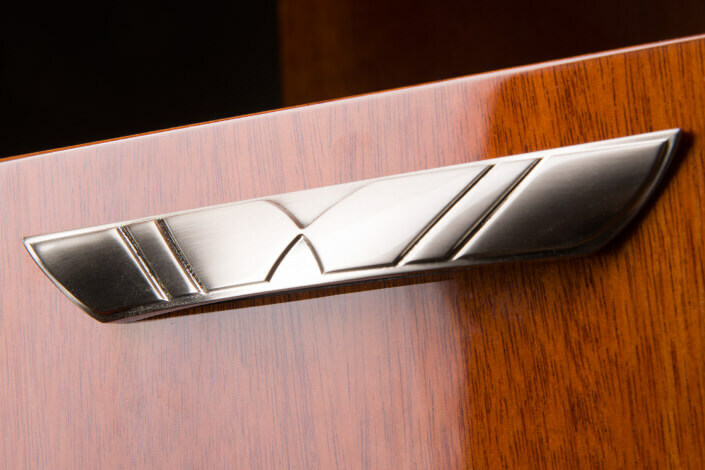 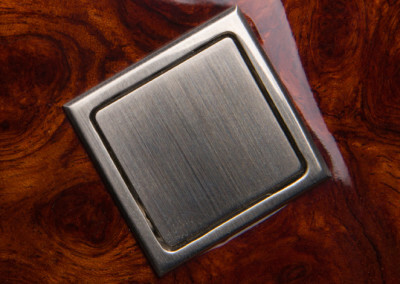 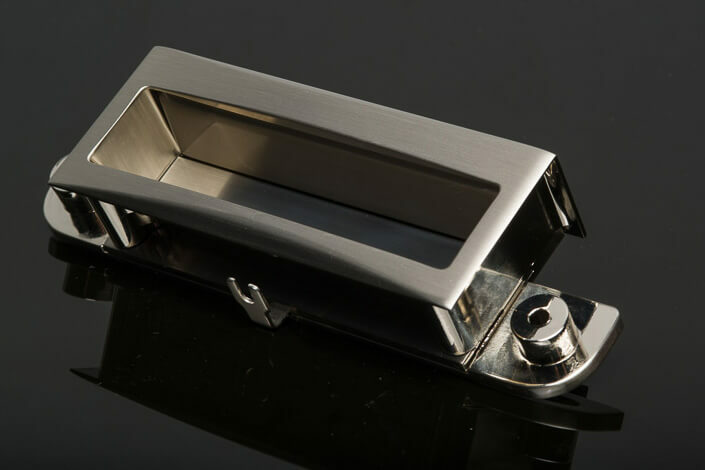 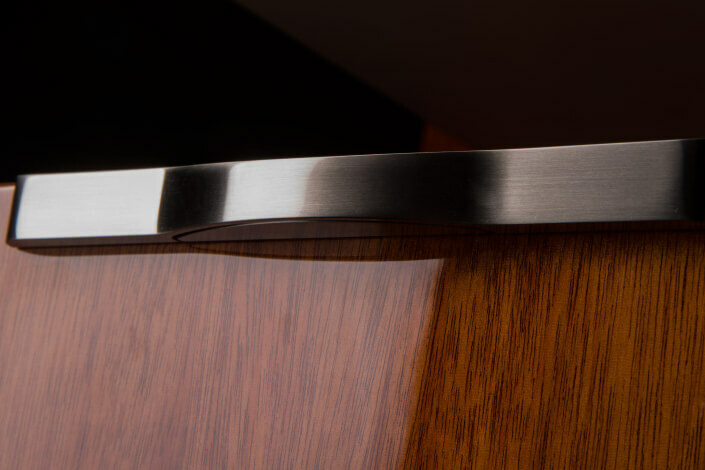 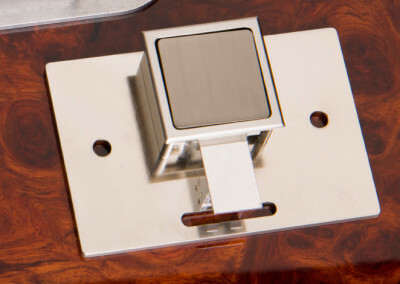 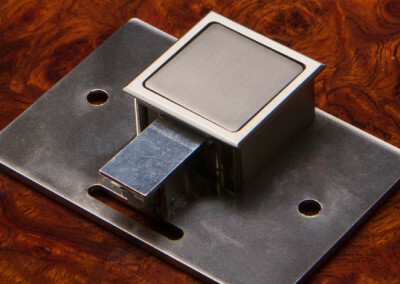 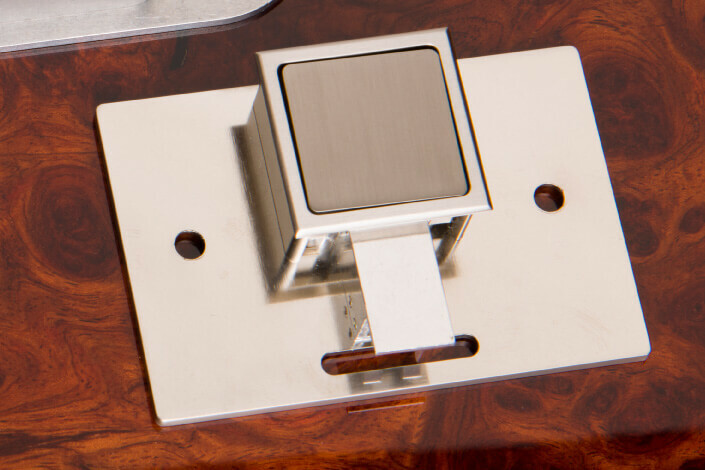 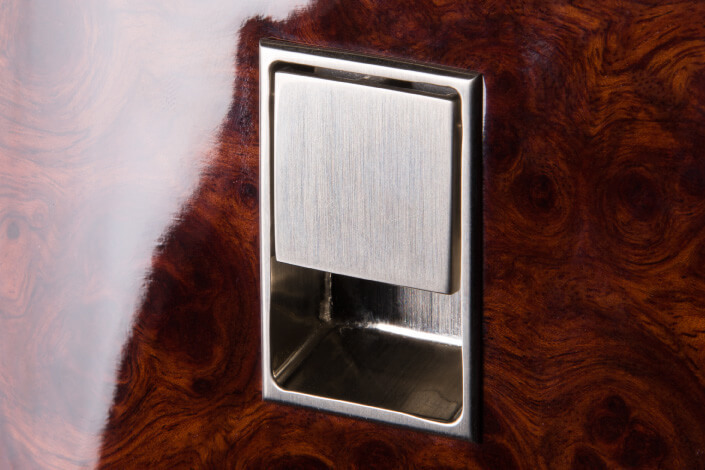 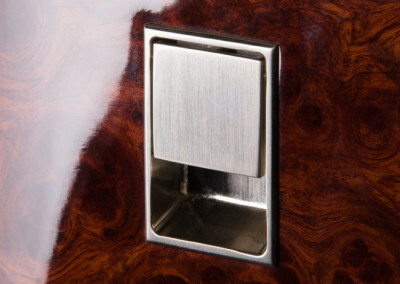 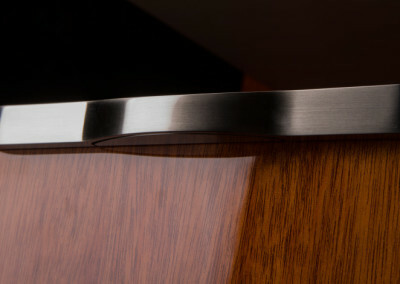 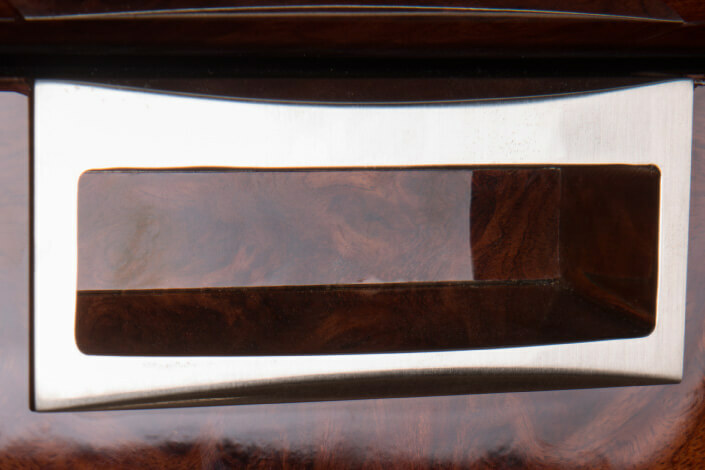 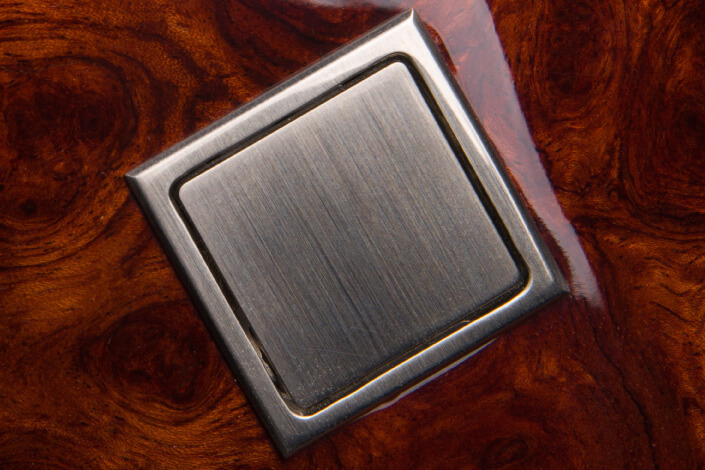 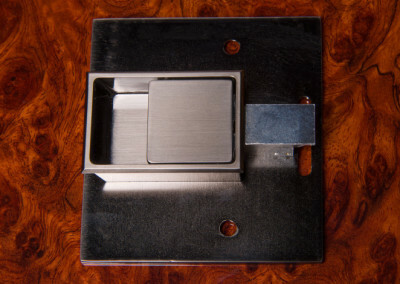 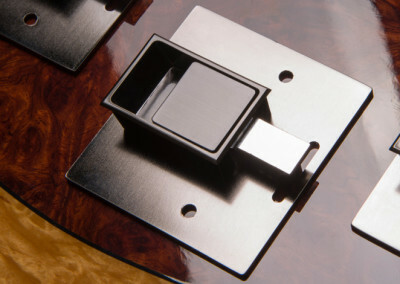 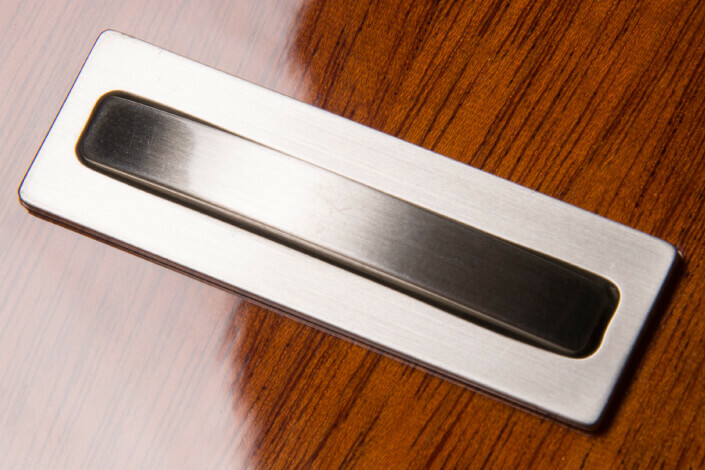 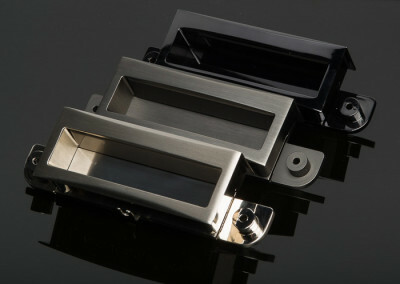 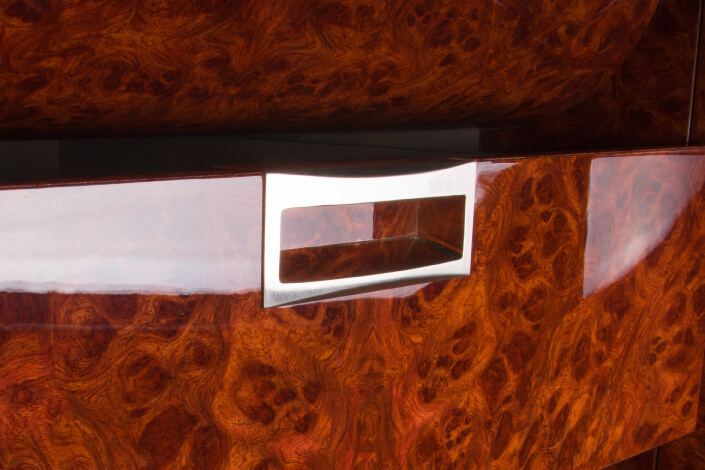 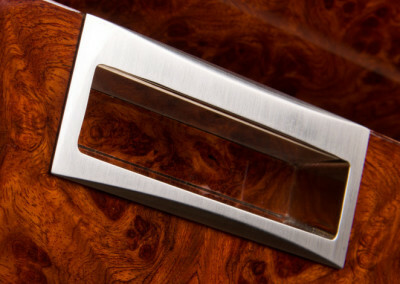 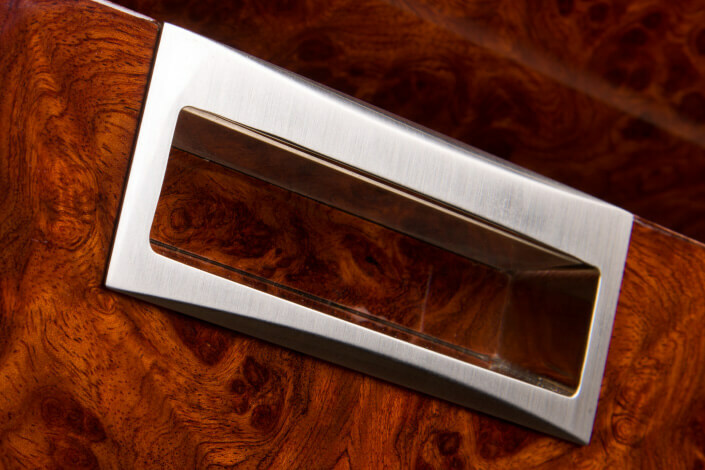 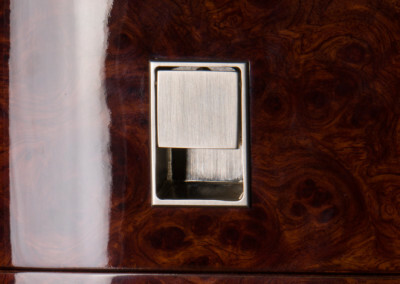 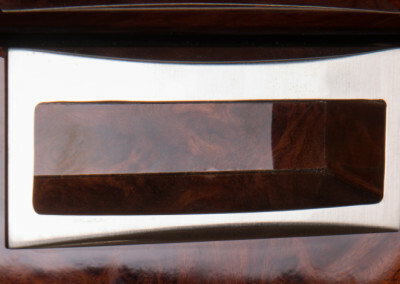 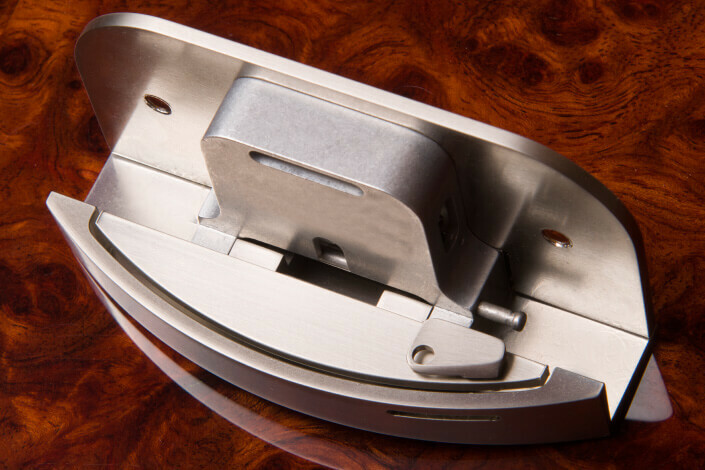 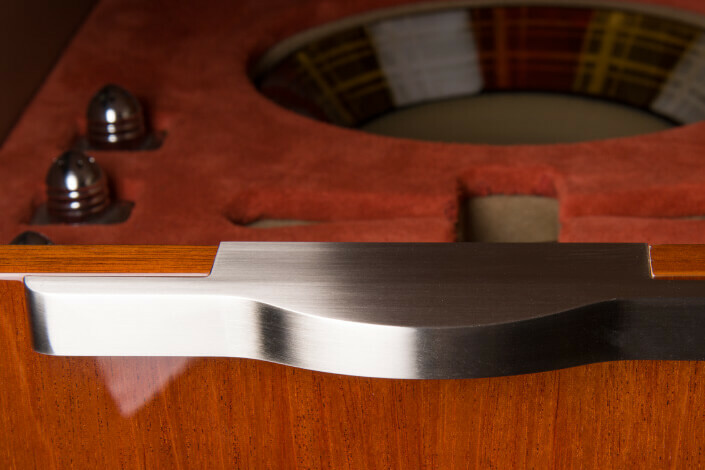 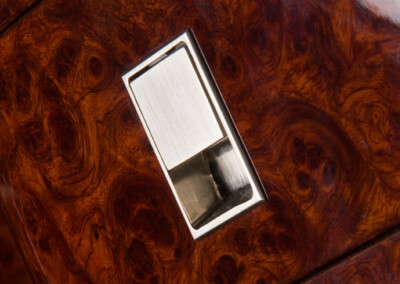 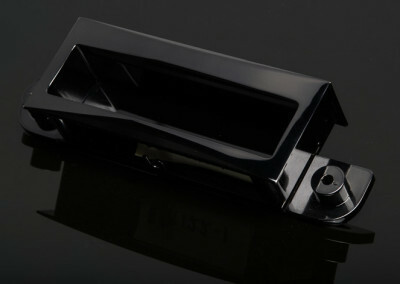 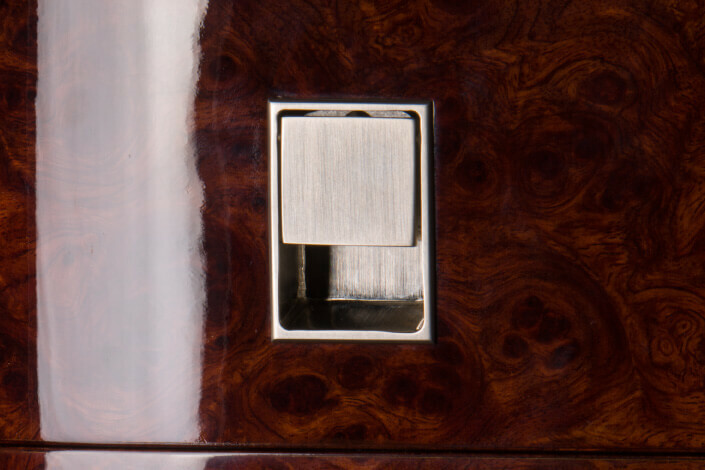 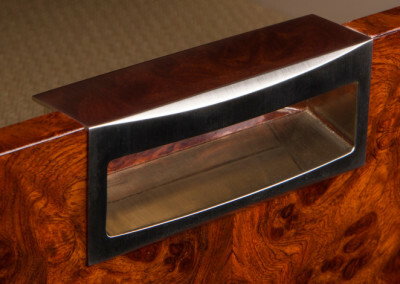 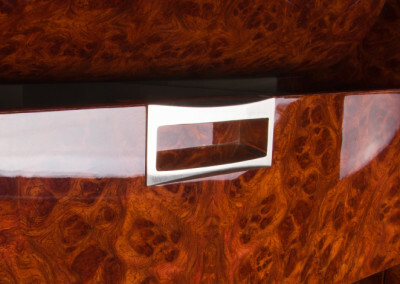 GSI is the only producer in the world of the patent pending “Hidden Latch” design, making it the leader in VIP products. 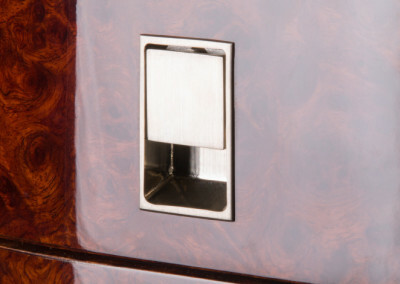 This latch sits inside the cabinet with only the handle exposed. 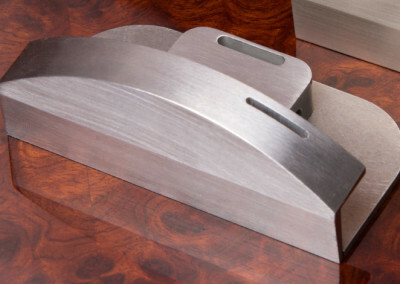 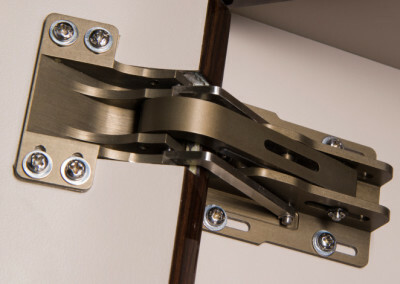 This allows for interchangeable covers to change with remodels, without having to re-certify the latch itself. 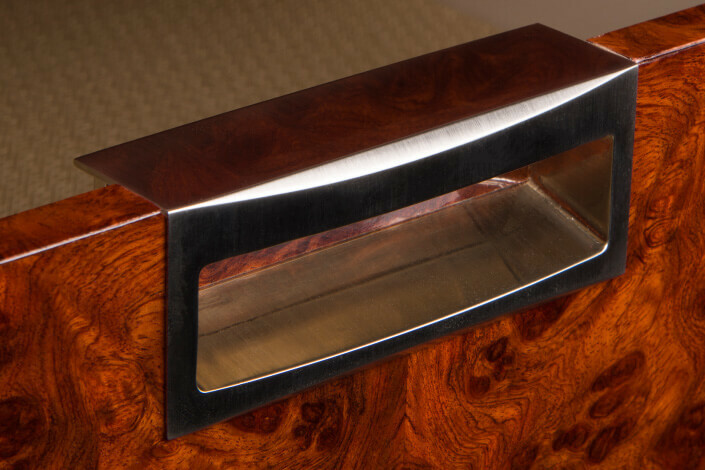 Covers can be produced in almost any way the customer can imagine. 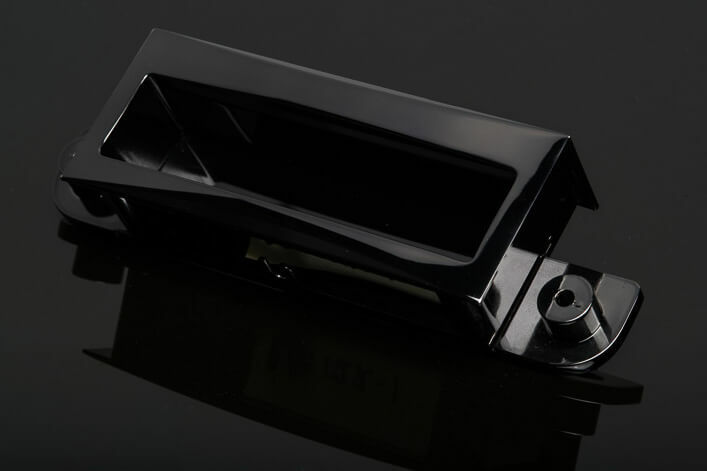 The new and innovative GSI hinge design incorporates all of the standard features our customers expect in hinges; adjustability, ease of installation and interchangeability. However, the GSI hinge is designed for aircraft and not the kitchen. 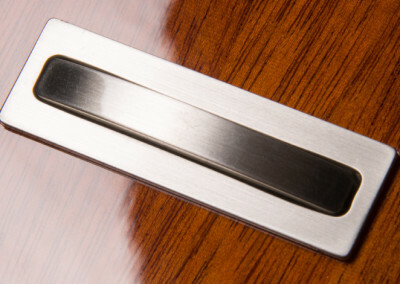 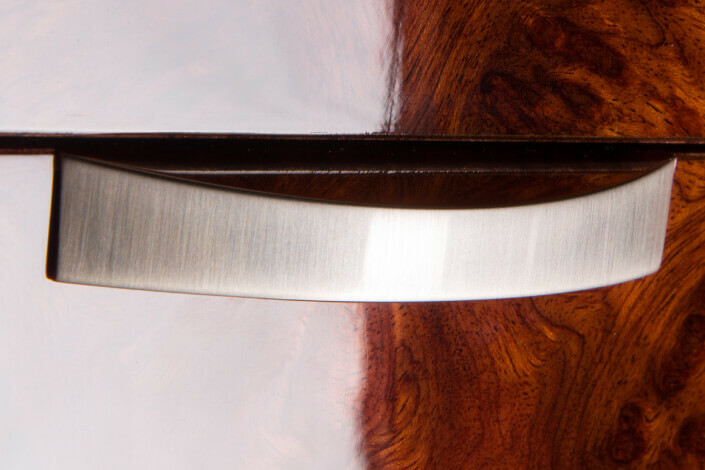 We incorporate certified materials, extended life cycles and quality built in. 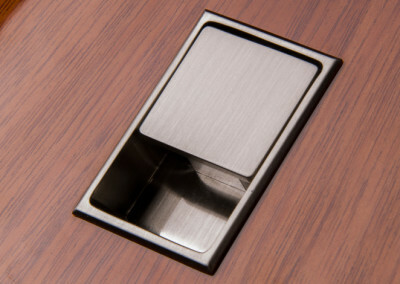 The innovative new GSI hinge product does something most others do not. 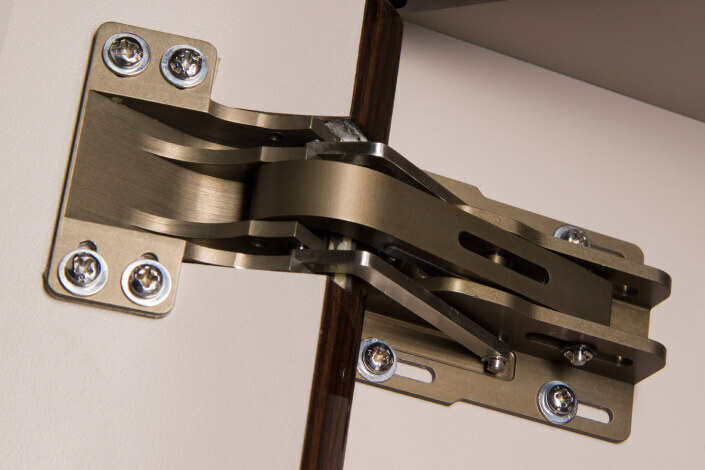 They can take a negative radius surface, less than 90 degrees with a radius and open it to a greater than 90 without interfering with a cabinets that are side by side. 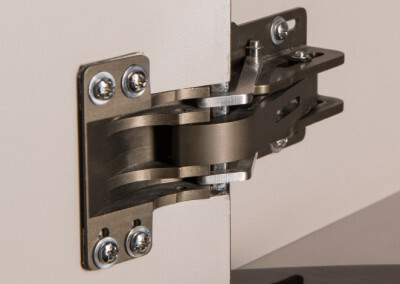 Allowing the drawer face to pull forward and open at the same time. The installation applications are no longer limited to a simple 90 degree box design! 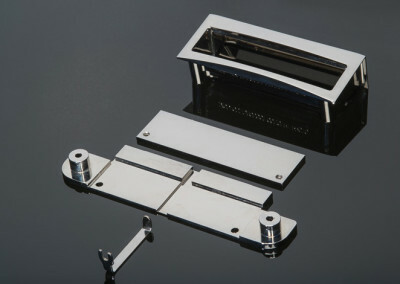 Call us and let one of our engineers find the right application for you!